You might be at work, you might be out shopping or simply sitting on the bus. ​Wherever you are your hair is a mobile advert for our services, which is why we want it shown off to it's very best. ​It's amazing how many clients come to us because they asked a stranger on the street where they got their hair done. We know you've got standards when it comes to coffee or tea. 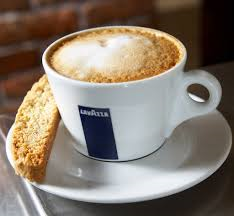 Enjoy freshly ground Arabica beans and a variety of teas. 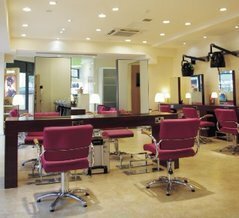 Do you want to work, play or catch-up while you're in the salon? Make full use of your time with our free WiFi. Would you like to book when and wherever you are? You can, with our real-time online booking system. Working with NCP we can provide you with all day parking for just £4.30. Great for shopping after your appointment. Above all else we want you to be happy with your hair. ​Which is why we operate a make it right policy. Want free expert unbiased advice? Then contact us here or call in the salon. We're always pleased to help. Want to know exactly what you will be paying? A clear and simple price structure that everyone can understand. We love colouring hair. So much so, that we have a whole website devoted to colour. Tap the link below for all the info you'll need. 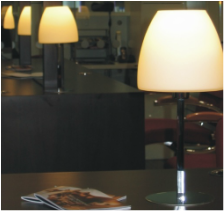 Klassic Koncept is a salon that revels in the technical aspects of hairdressing. Which is why we've achieved such a great reputation for Colouring hair and working with Afro and Curly hair. We have the skills to work with all hair types and offer services to everyone. A multi-ethnic, cosmopolitan salon at the centre of Birmingham. The simplest option, especially for a specific purpose like colour, Afro or curly hair is getting a salon recommended by friends. Word of mouth is always the best option. A salon that grows on the back of client recommendations is always the one to go for. Over the last 15 years Klassic Koncept has grown from small beginnings to a major city centre salon, all due to our loyal clients putting our name out there. Looking for an Afro Caribbean hair salon or a curly hair salon? Finding a salon that understands how to work with the long term benefits of your hair in mind can be difficult. We know because that's what our clients tell us. Many are heavy on the quick results side of things but fail to understand the long term effects of some of the services being offered. If you can't find a particular service here it is probably because we don't think it will benefit your hair. A prime example of this is Keratin Treatments which we have found to severely weaken the hair, in addition to the health concerns of the ingredients used. Our clients know that knowledge and education are all part of the service, a means to empower them and help us at the same time. If you can look after your hair properly at home it makes our life so much easier when you book an appointment. 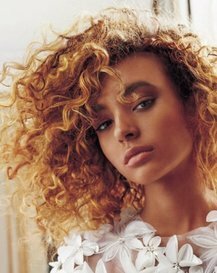 Curly, Afro, Mixed-race hair demands exceptional understanding of the technical aspects of hair and it's interaction with products. At Klassic Koncept we make sure we are at the forefront of education and innovation and base all our decisions on the long-term health of your hair - not our short term gain. When you know who you are dealing with it makes a choosing a salon so simple.